Crane Hire in any suburb search listings for Crane Hire Ballina, Crane Hire Lismore, Crane Hire Byron Bay, Crane Hire Murwillumbah, and Crane Hire Tweed Heads. With nbtrade.com.au Crane Hire Directory Find the right Crane Hire Quote for you. If you have a budget pay below the average cost for Crane Hire. Just search Listings in your Local Area with our Crane Hire Nationwide Directory. All Listings are committed to service excellence, building strong relationships and offer a wide range of onsite services and solutions to clients working across the heavy engineering, building and construction, mining, manufacturing, maintenance, road and rail industries along with general hire for any task. Find a professional crane service experienced in Machinery Installation & Removal, Bridge & Civil Construction, Shut Down Operations, Refineries, Mining (Wash Plants, Drag lines , Port & Maritime Services, Plant Maintenance, Building & construction, Concrete Tilt Panel Erection, Demolition & Salvaging. Find the right crane for the job from many modern crane fleets including Pick & Carry Cranes, Mini Cranes, Truck Mounted Hydraulic Cranes, All Terrain Cranes, Rough Terrain Cranes and Crawler Cranes. 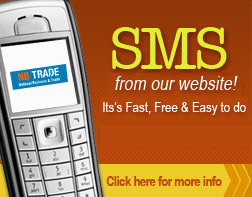 With Nbtrade.com.au Online Directory we make it easy to browse for the right selection for you. For Crane Hire with trusted and reliable listings you are provided with all contact details, general information and more. With Listings nationwide and focus on our local area of the Gold Coast and the Northern Rivers of New South Wales.